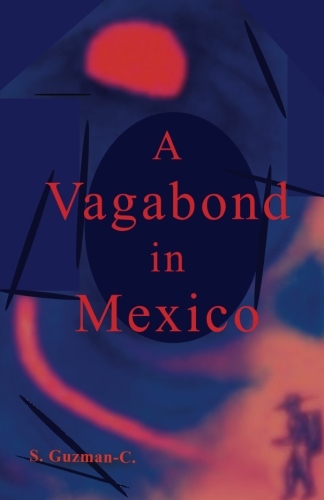 A Vagabond in Mexico, by S. Guzman-C., is an autobiographical novel concerning a man’s travels to Mexico in search of a new life. As his search progresses he becomes more a participant than a spectator through his interactions in the Mexican culture. With his finances dwindling, he is drawn deeper into the oppressed world of the underpaid worker. As his novel develops, we see that his journey is both outward and inward. It was the spring of 1975. The Sonoran desert was cool, its sparse vegetation beginning to bloom. Jean’s car devoured the asphalt. Burros and somewhat undernourished horses roamed behind barbed wire fences. Occasional pedestrians, carrying bundles of firewood, trudged along the road. Small parcels of land were surrounded by worn stake-and-rider fences that protected the wattle-and-daub constructions within. Sporadically, within the desert chaparral, Indian women worked manipulating long poles to dislodge the fruits from atop the towering saguaros; nonchalantly, men rode their horses to secret destinations. As if to dispel any ill moods, the unfolding scenery soon displayed a peculiar, rustic beauty. Giant saguaros towered now over various other cacti: cholla, ocotillo, prickly pear . . . Blooming paloverdes sprinkled the landscape, gleaming yellow against a harsh background of burnt browns and pale greens. I felt the thrill of entering an unknown country and howled unrestrained. Jean teased me and we laughed with abandon. Jean and I had been traveling together for several months and realizing that our interests and expectations were in conflict, we had decided to part. Jean wanted to visit Mexico City before returning home to California. I refused to return to a meaningless job and a rather insipid life. I was eager to search for a different lifestyle. I had the notion that a bilingual person, such as I, had innumerable opportunities to make a good living in Mexico. In a spirit of adventure, spurred by a desire to meet the people I wanted to live with, lured by a beauty I had merely heard about, I decided to travel throughout the country. I would work while I traveled not only to get to know the inhabitants better but to make my limited funds last until I found an adequate place to settle down. The fact that I was not authorized to work in Mexico did not deter me. At the moment, it didn’t worry me either. Jean was taking me as far as Hermosillo, capital of the state of Sonora, where we would part. We had swiftly crossed the border in the city of Nogales. It took but a few minutes to get our tourist cards. And as border cities are usually drab tourist traps, we immediately left. The ambiance seemed oppressive to us. Perhaps this was partly due to our eagerness to proceed, for as soon as we departed we felt better. Although I speak Spanish and Mexican culture is similar to my own, being suddenly in Mexico was shocking to an extent. For Jean the shock was acute. She was nervous and felt the other drivers were a menace — at times they were! Moreover, the change is actually drastic; it is a different culture. And one needs time to adapt, to get accustomed to the pace, the poverty, the disorder, the dirt and the mañanas. As foreigners, we were were helping each other adjust. We arrived in Hermosillo late in the afternoon and had dinner at a small restaurant in the outskirts. At a motel, we rented a room. It had stained walls, torn screens, dusty floors, a lumpy uncomfortable bed, and quite a moldy smell. But we didn’t care. We were restless, longing for the road; our main concern was to leave early the next day. We were up at dawn and saw how it gave way to a cool, balmy morning. The sun started climbing steadily, and so clear was the sky it almost hurt our eyes. The road was straight and clear. Jean delivered me to the highway leading to Old Kino Bay, the first town I wanted to try my luck in. We were both scared and sad. Jean started crying. I reassured her. I kissed her goodbye. As soon as I started hiking down the highway my fear and sadness began to diminish. I was in the outskirts of Hermosillo, on a wide asphalt road that had gravel shoulders along both sides. This road was lined by big and small businesses (car lots, gas stations, grocery stores), but also by a few modest houses. It had a flow of steady traffic but hardly any pedestrians. I hiked not to get anywhere in particular, but to relax and absorb my new environment. Hermosillo is located amid the Sonoran desert. The city can be very hot, very cold or simply agreeable; it depends on the weather and season. The morning promised heat. And hiking under a climbing sun carrying a backpack was making me thirsty. Besides, I was eager to meet the townsfolk. So I stopped by a street vendor, asked for a glass of lemonade and introduced myself. The man had a helper about nine years old, and the three of us engaged in conversation. Despite the growing heat and the sweat on their brows, the man and the boy were friendly. I inquired about work. The vendor told me that in Mexico life was hard for a hired worker, but as a street vendor, he was doing well. I asked him then where could I board a bus to Old Kino. The boy volunteered that the bus stopped at the next gas station, but he didn’t know when. I paid, thanked them and left. About two hours later, after having tried to hitch a ride to no avail, I clambered up on the bus. It was a new experience for me, and I had heard that traveling on a rural bus could be an adventure in itself, so I was a bit nervous at first. But for a couple of curious stares (at times Mexicans take me for a gringo) I went unnoticed and it was easy to relax. The bus showed to an extreme the effects of age and use, and I thought it was strange that it ran at all, let alone well. It was permeated by the peculiar odor of very old vehicles mixed with the smell of sweating bodies, burning oil and flowing gasoline. At first, I had to remain standing, for it was full to capacity, and more. But our driver was excellent; not all drivers in Mexico are madmen, as it is rumored. He drove carefully and had icons all around his seat. And certainly, on any given road you may need all the icons you can take. Some passengers were chitchatting, but most were dozing from the effects of the afternoon heat. Many carried chickens and other live farm animals; for these buses, I learned in due course, never leave a prospective passenger behind—with or without animals. Even if the bus is full to capacity a way is always found to make room, a fuerza. Most male passengers wore straw hats and sandals. Their callused hands and feet vouched for their commitment to hard work. And their weather-beaten skin had darkened deeply, rendering it easy to identify them as peasants. The women in their midst looked middle-aged, but I suspected that that was due to the effects of excess toil and their obesity. All wore shabby threadbare clothes in various stages of decay. They were returning home somewhere between Hermosillo and Kino, on a trip that takes most of the afternoon. New Kino Bay, a tourist resort, is the end of the line. After a few stops in different villages, I was able to secure a seat. The moment I sat down my attention was drawn to the passing landscape. Because the peasants were poor and the land so arid, I was surprised to see a myriad of crops growing. The cacti had disappeared giving way to fields of thriving beans. There was also wheat; there were other crops that I couldn’t identify. The villages’ dirt roads were always bustling with barefoot children stripped to the waist, who tittering excitedly ran toward the bus as soon as we arrived. Meanwhile, peddlers of all ages left their wattled dwellings to hawk their tacos and flavored water through the bus’ windows. I was thirsty, but I was also impressed by my new surroundings, so I merely stared in wonder at everything. The bus was almost empty when, on one of our scheduled stops, a fellow passenger noticed that I was a foreigner. He was sitting across the aisle, a few seats ahead, and leaning back he asked me where was I from. I told him I was from the West Indies and asked him in turn if there was work available in the area. “What’s your name?” I asked while moving to the seat next to him. I figured that in the near future I could visit the ejido. We chatted. Guero was a pleasant and talkative fellow. Soon the bus stopped at Campo Obregon. Guero (the nickname is given to white or light-skinned people) formally shook my hand, asked me my name, and again, cordially, invited me to visit sometime. Our next stop was Old Kino Bay, on the coast. I had chosen Kino as the first town to try my luck in because it is a fishing town, and I am somewhat experienced in the trade. After my first contacts in Mexico I was eager but, at the same time, apprehensive. Mexico was still an unknown, and the unknown is always a threat. It sounds like a great book. One man’s travel in Mexico. I checked it out at Amazon & they have it for around $20.00. Hi John! A new edition will be coming out soon at $9.95, I believe. You may still find stragglers from the first edition selling for a dollar, perhaps on ebay. Hi Kurt! Thanks for your comment. I also enjoyed your blog and the tent city article on Sacramento California. Well done! I don’t think I understand what you mean by “alot of folks must stay on essay to try and include worth towards the original blog article.” Could you elaborate? Thanks! Is this book available in Kindle version? Because up above it says it is, but I do not find it available in Kindle on Amazon. Hi Al, I don’t know why you can’t find it because when I click on the book on amazon, the kindle edition is right there. Hi Elena! Thanks for thinking of me.